That's been a season of warm socks, boots, it's time to remove them for storage in the closet. But before you do this, you need to prepare the shoes. Because of great importance to the appearance and quality of the boots is proper storage, especially at a time when they are not used. Before you remove the boots for summer storage in the closet, you must clean them from dirt and dust. Wash them with a soft sponge or cloth under running water using soap or powder (if the Shoe leather), clean out of the soles of various kinds of debris and pebbles. In any case, do not use a stiff brush and metal trowel, otherwise you will spoil the surface of the Shoe. After all the dirt is removed, wipe the boots with a damp and soft cloth. Boots made of suede or suede should be cleaned with a special brush made of wire, this can be purchased at almost any Shoe store. If by the end of the season they appeared worn, you can remove them if you RUB these places with sandpaper (fine), and then hold it under a strong jet of steam. Suede is one of the most impractical, it gets dirty quickly and solidifies. But it can lead. To do this, prepare the following solution: mix in a liter of water three tablespoons of vinegar. Dampen a soft cloth in the prepared solution and wipe suede boots. After drying, they will take quite a normal appearance. Grease stains on the Shoe easy to remove with gasoline. If the shoes soaked in an unpleasant smell of sweat is to get rid of it before storing boots for a long storage. To do this, dissolve a few (10 pieces) crystals of potassium permanganate in a liter of warm water. Soak a rag or cotton ball in the prepared solution and carefully wipe the boots from the inside. You can also wipe the inside of the shoes with a solution of hydrogen peroxide. After the boots are clean of dirt and dust, they should be thoroughly dried at room temperature, avoiding exposure of the heating devices (heater, blower, battery). Next, carefully RUB the shoes with a fat cream. To boots has not lost its original form, you'll need heavy paper or old newspaper, which is tightly to fill the inner part of the Shoe and fasten the lock. Now you can safely put the boots in a cardboard box (in any case not in plastic bag or plastic container) and sent to wardrobe for summer hibernation. Do not interfere, and funds from the moth, which should be put inside or next to the shoes. The appearance of the Shoe says a lot about its owner. No matter how fashionable and elaborate any outfit, messy broken pair of shoes will bring your efforts to zero. For shoes you need to constantly care for, and then it will serve you for as long as possible. To preserve the appearance of your favorite pair of shoes as long as possible, start to take care of it as soon as you bring a treasured box from the store. Leather sole new shoes lubricate with castor oil. Treat a new pair of water-repellent impregnation. Act in accordance with the instructions for the tool. Apply on heels of new shoes colorless nail Polish. It will protect the coating from abrasion and scratches. Do not wear barefoot shoes with lining made of leather. This will lead to the appearance of dark spots and damage the skin. After wearing the sandals are treated with special shampoo for Shine and dry well. Never leave wet and muddy shoes in the hallway. Remove large pieces of dirt with a wooden spatula, scrub the dirt out of the Welt and sole. Then turn the newspaper into a tight tube and insert inside the Shoe or shoes to keep their shape. Free space, stuff some folded pieces of newspaper. When the shoes dry, clean off residual dirt with a slightly damp cloth, dust the Shoe with a brush and apply thick layer of Shoe cream. This will allow you to protect the leather surface from macrocarpon, which reduce the service life. In the morning Polish the shoes with cloth. Zipper on the shoes clean of dirt using an old toothbrush. Metal zipper from time to time to lubricate with castor oil. Try to keep the oil from falling on the skin. 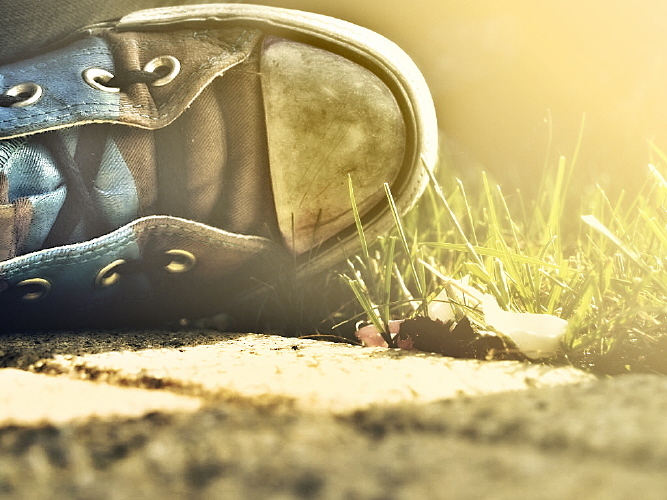 Clean your shoes from the street dust, even if there is no rain. Be sure to insert the spacers. Inspection of shoes after a walk will allow you to detect before starting to disperse the seam or crack on the sole. The smaller the defect, the easier it is to remove in the Shoe shop. Avoid wearing the same pair for too long. Let the shoes rest and dry out. To remove unpleasant smell inside the shoes, use baking soda. Sprinkle it thickly inside, and before putting on and shake clean. Special deodorants from Shoe manufacturers try to use only if you need to go, and you find that your shoes smell bad. Before you remove the storage of your shoes, thoroughly clean it. Attach to inside of Shoe or a rolled up tube of newspaper. Shoes with soft socks tightly tamp the paper. Do not place storage swisscasino cream shoes. Let the cream is well absorbed, and remove any excess cloth. Lacquer shoes be sure to lubricate with vaseline, this will protect the lacquer skin from sticking together. Inside the high-tops on boots, place rolled newspaper or a piece of cardboard. All defects, for example, weak heels or the crack on the sole, correct before you remove the storage of your shoes. Then you won't have to run in a Shoe shop, if the weather suddenly changes.